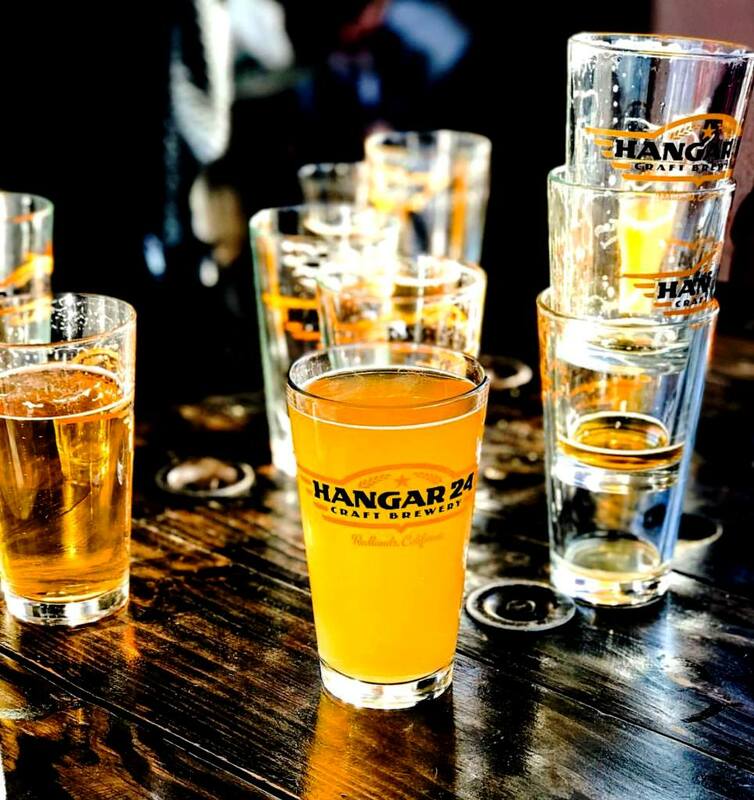 Hangar 24 Craft Brewery — Punch Design Co.
Hangar 24 Craft Brewery is located on a small, municipal airport in Redlands, California. They host a year airshow as an anniversary party, and in their first 5 years became one of the fastest-growing breweries in the country. But after several years of relying on the original brand materials, each with somewhat random updates as-needed, the message had grown inconsistent across product lines and marketing materials. This was inconsistent with their primary value of authenticity. 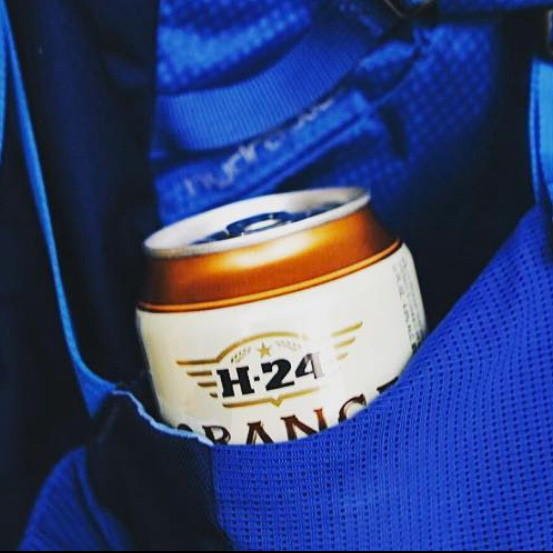 We began by leading a strategic survey of Hangar 24's brand history, story and identity. Years of older projects combined with this new insight into the brand led to the development of a new system: one that simplifies the brand identity while elevating brand impact and highlighting our heritage. 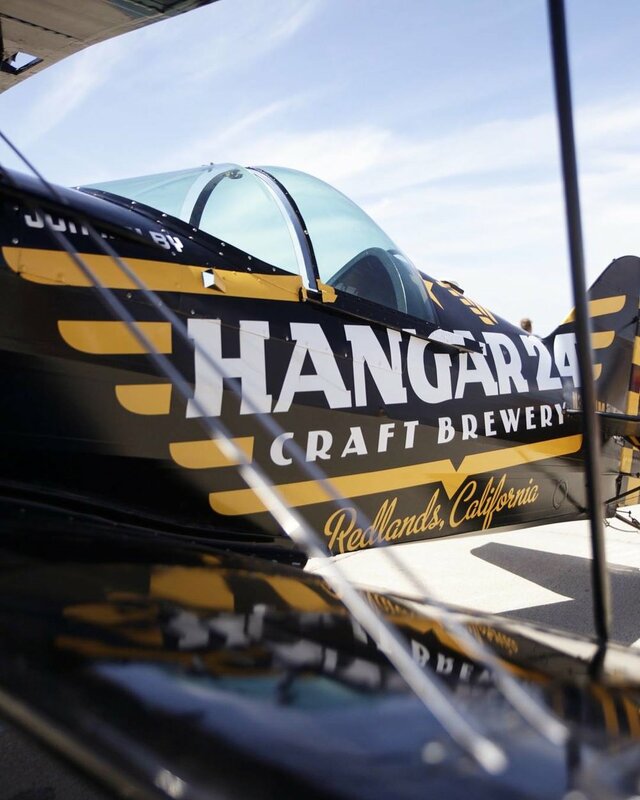 A streamlined color palette, typographic choices inspired by the era, and a tidying up of our classing aviation-themed illustrations allows Hangar 24 to consistently stand out while preserving their gilded-age gravitas, and authentic personality of the brand. 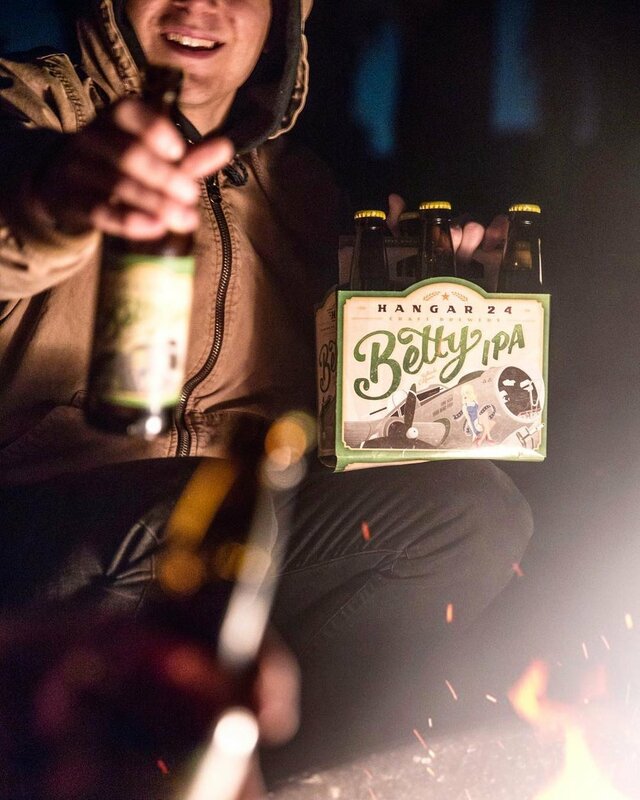 In addition to a full suite of new brand marks and custom typeface developed by Joshua Berman, the art director of the project, he also arrived at what would become the single unifying element of the new Hangar 24 brand - the hangar "bump" - a gentle arc sitting atop all logos and almost every piece of H24 labeling or packaging. This subtle visual reminder of an airplane hangar is a memorable architectural detail that ties the full portfolio together.